The Houston Astros enter a house of horrors when they open a two-game interleague road series against the San Francisco Giants on Monday night. Both teams are coming off successful weeks. The Astros won two of three in a World Series rematch with the Los Angeles Dodgers to cap a 4-2 week and the Giants completed their first winning trip of the season by edging the Arizona Diamondbacks 3-2 on Sunday for their fourth win in six games. The Astros posted 11-2 and 4-1 home wins over the Giants in May, but winning in San Francisco during the past decade has been much more difficult for the former National League club. 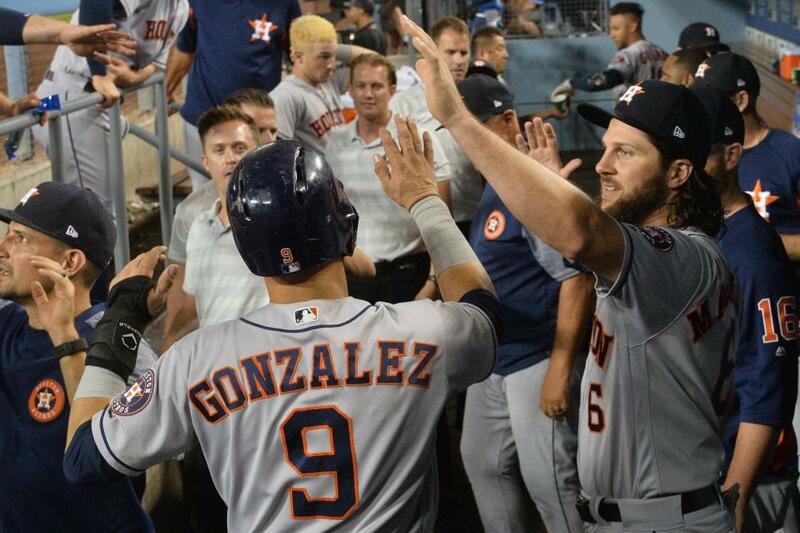 Houston has gone just 5-13 in San Francisco since 2009, scoring two or fewer runs in 12 of the 18 games. [post_ads]The Astros will make their first return to San Francisco since 2015 and will send veteran right-hander Charlie Morton (12-2, 2.90) in search of a winning formula. Morton helped get the Astros rolling last week with six strong innings in a 5-2 win at Seattle. He struck out eight and allowed two runs. He has gone 2-2 with a 3.82 ERA in six career starts in San Francisco and 4-4 with a 2.59 in 12 lifetime starts against the Giants overall. Morton did not face the Giants in the earlier series in Houston, with Gerrit Cole and Justin Verlander claiming the wins. Morton enters the series two wins shy of matching his career high for victories in a season, which he set last year for the Astros while going 14-7. His 12-2 record this year gives him the best winning percentage (.857) among all major league pitchers with 10 or more decisions. Morton will face a team that is getting healthier. Third baseman Evan Longoria and second baseman Joe Panik recently were reinstated after lengthy stints on the disabled list. Buster Posey returned as a first baseman after getting nailed on the mask with a foul tip while catching Friday. Longoria was the hitting star in Sunday's win, bombing a tiebreaking home run off the Diamondbacks' Archie Bradley in the eighth inning. Longoria had a single, double and home run, scored twice and drove in two runs in just his fourth three-hit game of the season. It was his third game with multiple runs, hits and RBIs since joining the Giants in an off-season trade. He's 15-for-42 (.357) since returning from a broken hand on July 26, a hot streak that coincides with a stretch of 13 straight games against division leaders and fellow wild-card contenders. "We're excited," Longoria said of the Houston series, which comes just as the Giants (57-56) went back above .500. "We take that positivity back to San Francisco with us." San Francisco will counter Morton with rookie right-hander Dereck Rodriguez (5-1, 2.59 ERA), who has never faced the Astros. Rodriguez is coming off a brilliant July, during which he went 2-0 with a 1.86 ERA, with the wins coming against the Chicago Cubs and the Oakland Athletics. He allowed just six runs in 29 innings in those five starts, striking out 21 batters.